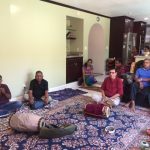 Guru Poornima was celebrated in a grand manner at Mr. Murali and Mrs.Malathi Murali’s residence on July 25th 2010. 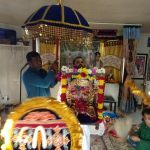 Sri Guru Maharaj’s picture was decorated with flowers and kept in a Mandapam. After that Prasad and Magalaarthi were offered to Guru Maharaj. 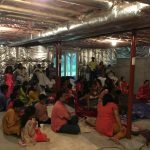 Glen Allen GOD Satsang members watched Dr.Bhagyanthan’s wonderful lecture “Madhurasmaranam”. Guru’s grace was felt throughout the satsang. 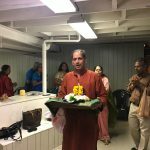 Devotees also shared their personal experiences and how GuruMaharaj brought light into their lives.